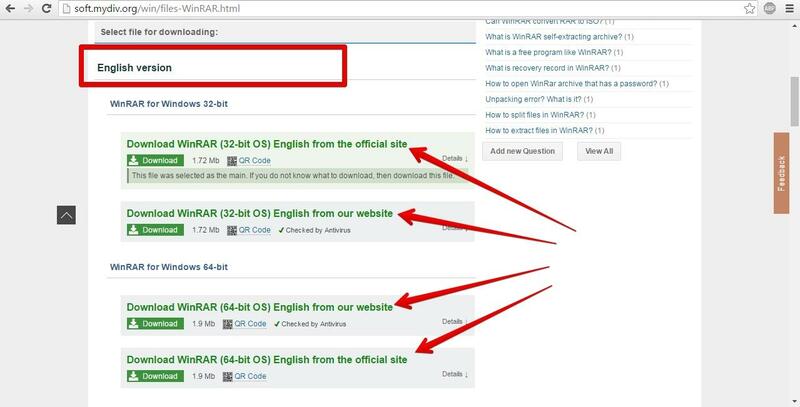 How to change language in WinRar? Can I change language in program? A language version depends on your WinRAR installer. You can't change your language in the WinRAR interface. For this sake, you should download an appropriate installer. 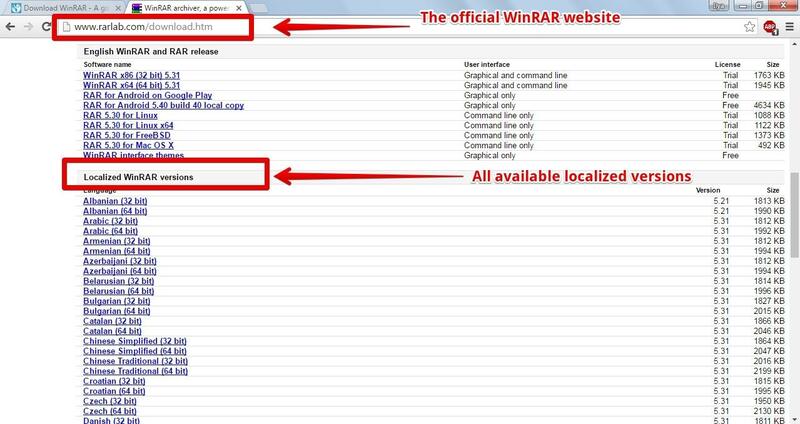 If you want to get the English version of WinRAR, you have to head on Files (just click on this link) tab and choose an installer from English version (see on picture 1) according to your Windows system (32-bit or 64-bit). Click on it. Then it will be downloaded on your PC. 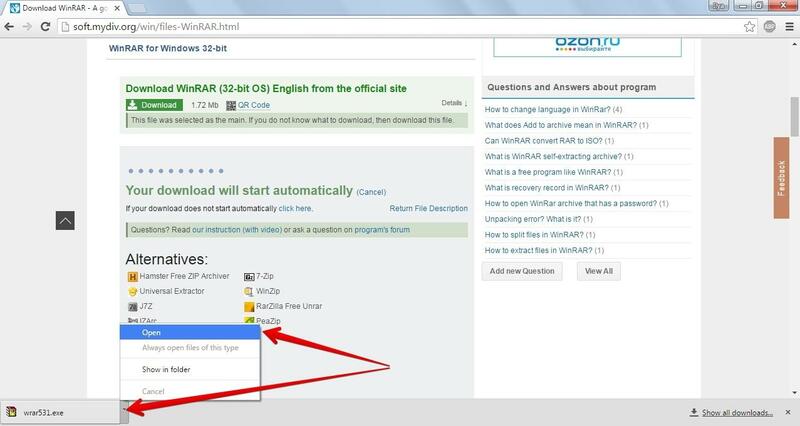 You should open Downloads folder and launch this installer (see on picture 3). You can also download German, French, Italian, Spanish, Turkish, and Vietnamese installer in Files tab. Just scroll down the web page to get them (see on picture 3). Other versions can be found on official WinRAR website. 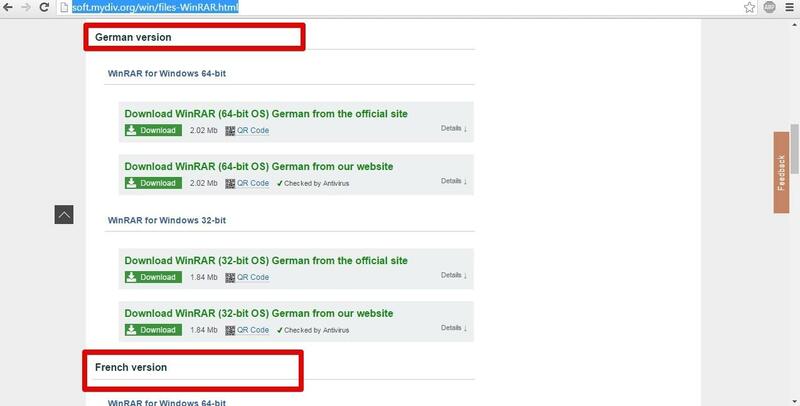 Just click on the previous link and scroll down the web page till you find Localized WinRAR versions (see on picture 4). That's the thing you need. Choose localized version of your language from this section.